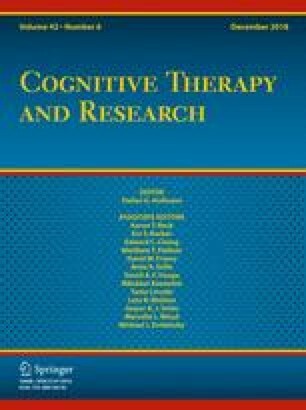 Recent cognitive models of negative symptoms in psychosis posit that amotivation relevant beliefs are reflected in the cognitive triad of negative beliefs concerning the self, others and the future. The aim of this study was to test the proposed three-factor structure of putative ‘demotivating beliefs’ and to ascertain the strength of their association with self-reported amotivation. We combined existing scales assessing ‘demotivating beliefs’ to the Demotivating Beliefs Inventory. This scale was used for exploratory and confirmatory factor analyses as well as latent regression analyses with amotivation in two independent community (n1 = 98; n2 = 347) and one clinical sample (n = 36). We found a three-factor structure with satisfying model fit (‘selfdefeating beliefs’, ‘social indifference beliefs’ and ‘low-expectancy-of-pleasure beliefs’). Each factor showed moderate associations with amotivation (β-coefficients from 0.34 to 0.43; R2 = .30). Our results support the validity of the cognitive triad and its benefit as a framework to analyze demotivating beliefs. The online version of this article ( https://doi.org/10.1007/s10608-018-9940-7) contains supplementary material, which is available to authorized users. We thank Denise Fischer for her support in recruiting participants, Maik Erdas for his support in the item translation process and Esther Wolfram for her language editing. Matthias Pillny, Katarina Krkovic and Tania M. Lincoln declare that they have no conflict of interest including any financial, personal or other relationships with other people or organizations within 3 years of beginning the work submitted that could inappropriately influence, or be perceived to influence, their work. Weissman, A. (1979). Dysfunctional Attitude Scale (DAS). Acceptance and commitment therapy. Measures 54. Retrieved from http://integrativehealthpartners.org/downloads/ACTmeasures.pdf.